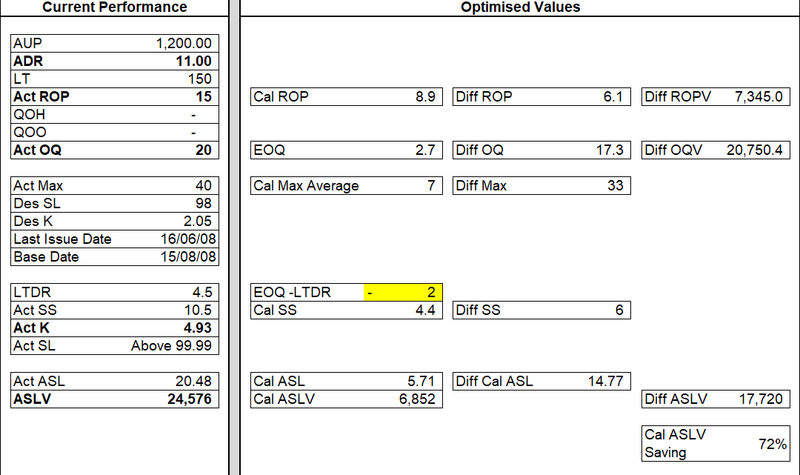 Optimisation supports ISO55000 by making decisions based on risk. A Stock-out risk must be set for each spare part based on the item’s criticality. 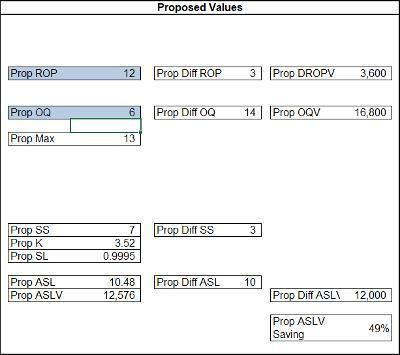 Opportunities for reducing inventory are identified by determining the optimum ROP and EOQ, and then the most appropriate replenishment strategy. Costs savings are identified by looking for potential cost savings. Prioritisation is based on differential financial value between the current average stock level and optimum average stock level.